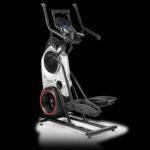 You are here: Home / Bowflex / Bowflex Max Trainer M3 Review – Start Here!! 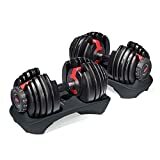 If you are searching the internet for a Bowflex Max Trainer M3 review, you have come to the right place. 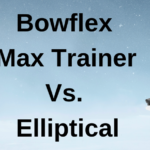 In this review, I will walk through the Max Trainer M3 from Bowflex, sharing the features as well as what makes this machine a special elliptical trainer. This innovative machine is an efficient and effective way to burn calories in as little as 14-minutes per day. Before I get too far into this review, I want to tell you a little bit about why ellipticals are near and dear to me. After I suffered a pretty bad back injury in 2015, I was not able to work out for months. When I was finally to the point I could start working out again, the first thing my chiropractor had me do, was a workout on an elliptical. 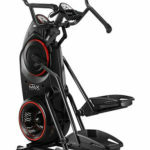 Ellipticals, especially these Max Trainers, target not only the legs but your core as well. A strong core is very helpful when dealing with back problems. To this day, ellipticals are one of my go-to pieces of equipment due to the low impact and full body movement. I use an elliptical frequently as my warm-up at the gym. Anyways, let’s get back to business here. I just wanted to give you a little background on me first. 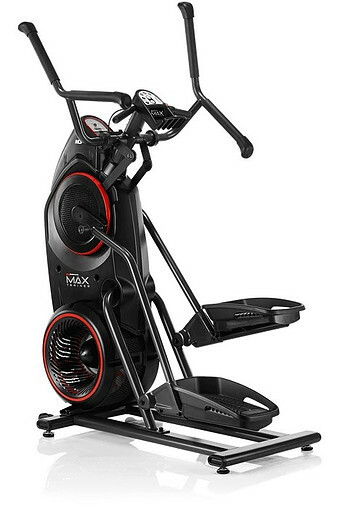 This is the entry-level model in the Max Trainer series from Bowflex. With the M3, you are getting the same great quality and functionality as the other two models, with fewer bells and whistles. Of course, the M3 also comes with a smaller price tag than the M6 and M8. 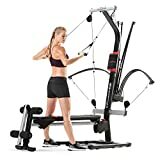 From a design perspective, Bowflex does not disappoint with this model. 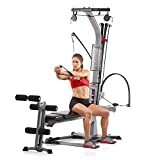 The attractive look of this model is inspired by modern sports cars, motorcycles and aerospace technology, as Bowflex puts it. You adjust the resistance levels using the resistance level shifter, located on the handgrips. It is kind of like a grip shifter on a bike; you crank the handle forward or backward to adjust the resistance level to fit you. The upright orientation of the machine is kind of like putting a stairclimber and an elliptical machine together. One of the great aspects of these Max Trainer machines is that they take up a lot less space than a traditional elliptical. Before I get into the 14-minute workout, I would like to outline the specs of the M3. With this entry-level model, you still get all of these great features. The M3 is set up like the other models in term of the orientation of the handlebars. You have a set of static handles that you can use to hold onto as you lean back and work your glutes. There is also a set of dynamic handles that move with you and help you get that full body workout. You can grab onto these dynamic grips on top or bottom, as they are shaped like a hockey stick. Bowflex has this famed 14-minute workout. The idea behind this is short periods of high-intensity, followed by longer periods of rest. Therefore, you work out like crazy for 25 seconds and rest for 80 seconds. This process gets your heart rate up, and then you let it come back down. Alternating high and low intensity over a period of 14 minutes gives you a great workout, and you keep burning calories long after the workout is complete. Now Bowflex does recommend that you work up to the 14-minute interval training, especially if you are new to working out, or have not done so in a while. They recommend you start on manual and get the feel, then work your way up to the interval training. If you are a workout warrior, you might be able to start with interval training. You should definitely check with your doctor before you begin an exercise program. The 14-minute Max interval work out is adjustable as well. You would use the resistance level shifter dial on the stationary handgrip to make any adjustments you want. It is set up like a handlebar gear shifter on a bike, roll it forward or backward to increase or decrease your resistance level. You can also make adjustments to the lengths of high and low intensity when doing the interval workout. There are a lot of adjustments you can make, to find what works best for you. If you decide, one 14-minute workout was not enough, go right ahead and follow that up with another one. Bowflex does recommend one day per week for stretching, or just a down day to let your body recover. I would tend to agree with them on that front. You will need to invite a friend to help you assemble the Max Trainer M3. Per the owner’s manual, assembly requires two people. The machine comes in two separate boxes and does come with an Allen wrench as well as a standard closed end wrench. In-home assembly is available as well for those folks who are not mechanically inclined or do not want to build it themselves. You will have to pay extra for in-home assembly. I think building it is part of the fun, but I realize not everyone thinks the way I do (thank goodness LOL). I would recommend purchasing a Machine Mat, which will protect your floors. The machine sits on top of on top of this non-slip rubber mat. The mat would be especially useful if you plan on setting up your machine on hardwood floors. There are feet that you unscrew, so the machine is nice and stable on the floor. Before you decide where you want to house the machine, Bowflex recommends a space of 73 inches by 94.1 inches. Be sure you have enough headroom as well. You want to add 15 inches to the height of the user for maximum clearance. Of course, you will also need to be able to plug this unit into the wall, so make when you figure out where to put it, you have power available. The machine does come with rollers on the front, base of the frame. So you can tilt the machine forward and move it. Bowflex recommends that if you are going to move the unit, do so with two people. It does weigh in at over 140 pounds, so moving it on your own is probably not a great idea. I would say you probably don’t want to have to move the machine all the time because I don’t know how practical that would be, but the fact that it is mobile is a great added feature. The pedals are large enough to fit a variety of different users and are designed to be aerodynamic. One feature that the Max Trainer M3 does not have that the other two models do have is a heart rate monitor built into the static handles. You can still use a chest strap, but you just will not have the ability to grab ahold of the handles and see your heart rate that way. Kind of a bummer, but not the end of the world. The Max Trainer M3 also does not have Bluetooth connectivity, so you will not be able to synchronize your statistics to a workout app. There are a lot of positive reviews for this machine, over 2,000 reviews with an average score of 97%, so Bowflex is doing something right. In my dealing with the folks on chat, it has been positive, they are very helpful and seem to be knowledgeable as well. Bowflex offers a one year warranty on the frame, mechanical parts, electronics, and 90 days on labor. This is another area that is different than the M6 and the M8, which gives a two and three-year warranty respectively. All models have the same 90-day warranty on labor. 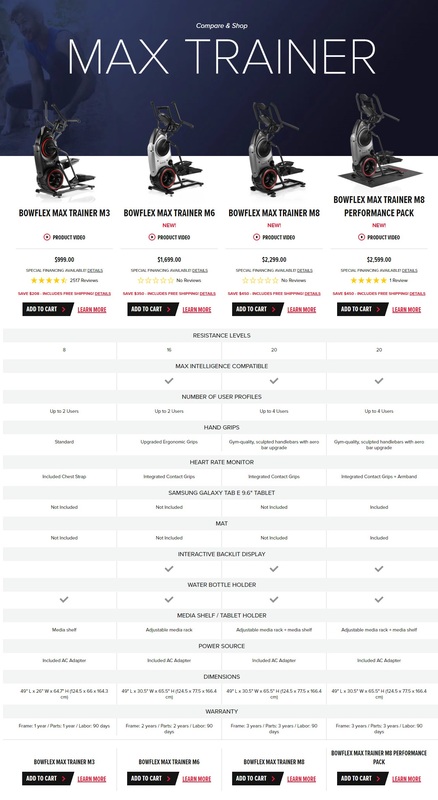 Below is a comparison chart that will show you the major differences in the three Max Trainer models. I have previously reviewed the other two models, and you are free to review those as well. You may also want to check out my guide on buying an elliptical for some tips on things to look for before you take the plunge. Well, there you have it; this covers a lot of ground on the Bowflex Max Trainer M3 review. This is a great entry-level machine. As you can see, there are a few features that are available on the M6 and M8 that are not available on the M3. But that doesn’t mean this is not a great option for you. Functionally, the M3 will work great for most people, and if you are looking to save some money, this is definitely worth a look. You will have to decide which options you are really wanting and decide which model is best. 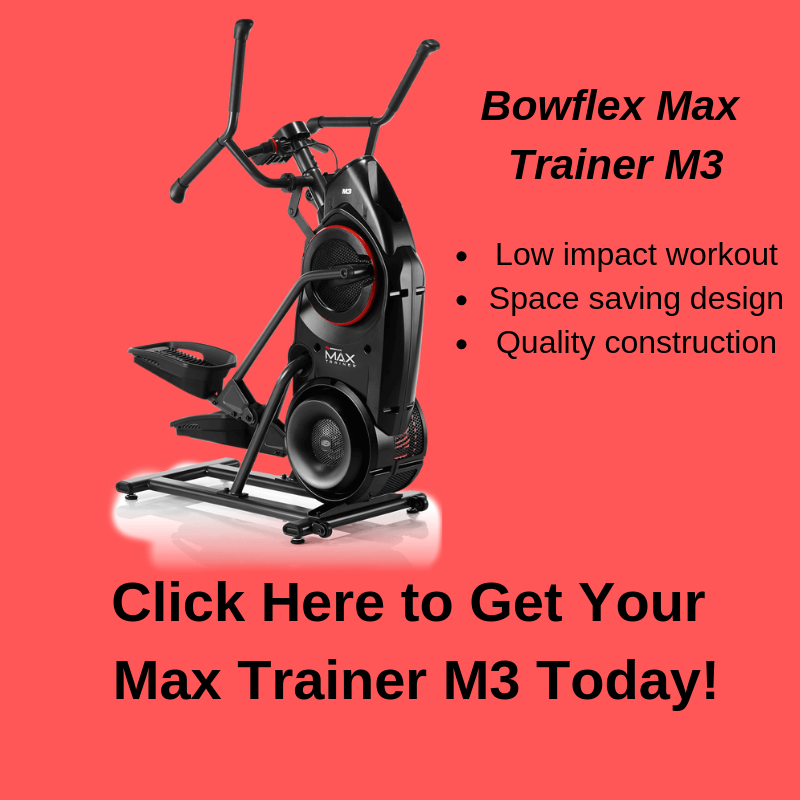 If you are ready to purchase the M3 or would like to read more about the product, please click the button below and you will be directed to bowflex.com where you can make your purchase safe and secure. 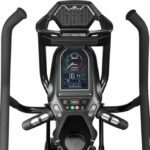 If you are looking for other ellipticals, you can check out my review on other great ellipticals. Let’s see if we can get some engagement and comments below, here are a couple of questions to think about. Tell me, what features do you like the most about the Max Trainer M3? Is there anything you would like to see that this model does not offer? It is a good product. I like the pros and cons you provided. But I need to ask, can the product be shipped to other countries? I am in the market for a new machine but would like to know if it’s possible to ship to Canada. Thanks for the in-depth review, I appreciate it. Yes, Bowflex does ship to Canada, and I am glad you asked that question. Please let me know if you have any more questions, I am glad to help. Thanks for your comment as well. One very nice thing about the M3 is the portability with transport wheels built in. Thanks for your comment, I appreciate it. Excellent info on the Bowflex M3. Amazingly thorough and detailed. I really feel informed now to make a decision on these products should I decide to pursue buying one. My in home work out equipment is older, and somewhat lacking compared to today’s machines. May be time for me to up my game. Thanks for sharing this. No problem Tom, I am glad to help. Let me know if you need any more information. Thanks for stopping by and leaving a comment, I appreciate it. Thanks for the review. I like ellipticals, but only have been using it in the gym so far. The machine looks great and a 14-minutes workout would fit perfectly into my tight schedule. Maybe I should give it a shot. Hi Felix, thank you for stopping. The 14-minute workout is appealing for sure. If you have any more questions or need any help, I am glad to offer my assistance. Thanks again, I appreciate your comment. Hi Steve. Thank you so much for this review. I’ve been looking for an elliptical trainer. I have a permanent foot injury, and my Dr says I shouldn’t use the treadmill anymore. He says the elliptical has low impact of the feet and knees. My problem has been that all the ones I have looked into are so large. I only have a small area to work with. This Bowflex M3 will be perfect. You review was exceptional. The video shows the size. I think it’s perfect for what I need. When I’m ready to purchase, I will be back. Thanks again. Thank you for stopping by Wendi. Sorry to hear about your foot injury, that has to be tough. Yes, the Bowflex M3 is a low impact way to get a great workout. The upright design makes the unit much smaller than a traditional elliptical. Let me know if you have any questions, I am glad to help.